I recently migrated one of my Database from Microsoft Access to SQL Server 2005 Express. However, the Dates did not display at all in my PHP Forms. In practice, you can set the “Date Display format” (above) to anything you like. 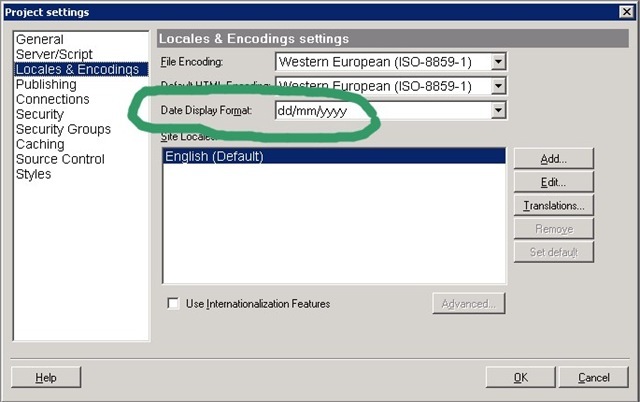 It is the default format that is used when the date format is not explicitly set on the control itself. I have recently discovered an issue displaying the date correctly when the SQL Database “Collation” has been set to “Latin1_General_CI_AS” (SQL_Latin1_General_CP1_CI_AS” works fine). I’ll look into this further.